Lincoln residents will be asked to observe voluntary water-conservation measures this summer, starting with limits on outdoor watering. 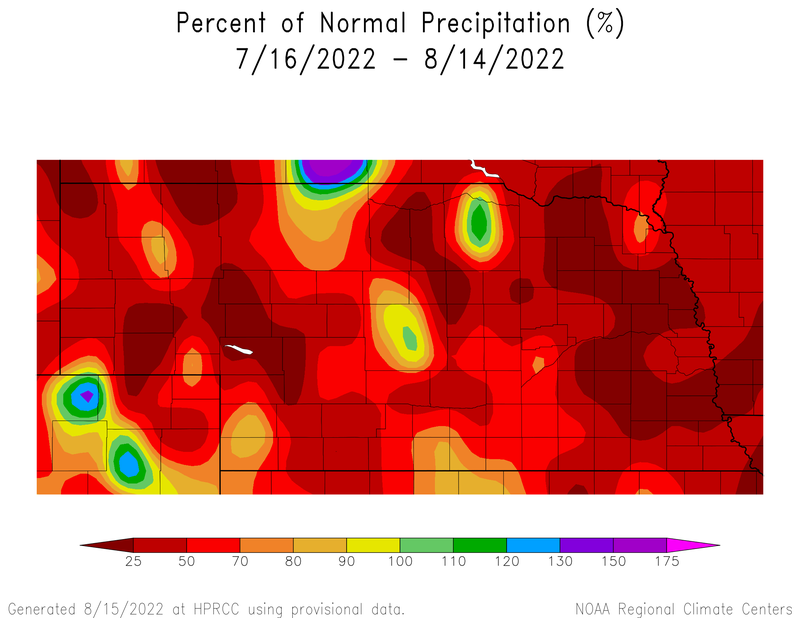 Much of Nebraska is well below normal precipitation for the last month -- which contrasts with the Des Moines area, which is well above normal precipitation of late, and for the year. Municipal water use is a tiny fraction of total water consumption in Nebraska, but the summertime spike in consumption can be extremely significant -- just compare the normal range for Lincoln's water use in May versus July. The difference can easily represent a jump of three times. That's enough to tax even the best-designed water system and the best pumps.